The inactivation of an existing degree program is initiated by the submission of a program inactivation notice form. The steps for approval are described in the flow chart below. 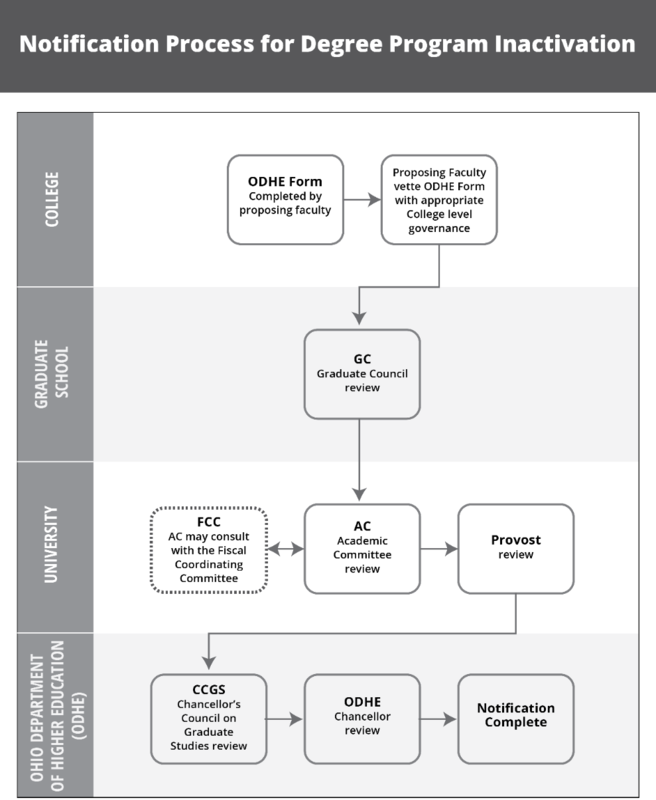 View the flowchart for Notification Process for Degree Program Inactivation as a PDF.